Leinster House was buzzing yesterday as a wall of photographers gathered at the front gate and reporters roamed the corridors inside. Politicians arriving on Kildare Street were somewhat amused by the fuss which they haven’t experienced for some time. The arrival of FAI bosses, including John Delaney, had everybody excited. But it also exposed how irrelevant the place has become in recent times. The Dáil is now the political equivalent of the League of Ireland. Most people think it’s important to have but don’t really tune in. The Premier League is happening over in Brussels where the big decisions are being made. All eyes are repeatedly on the European Council as it grapples with Brexit. The wheels of government are still turning, albeit at an uneven pace. Some departments are consumed by Brexit while others hide behind it. Fianna Fáil representatives repeated yesterday that they have no confidence in Health Minister Simon Harris but are unwilling to actually do anything about it. He has managed to ride out controversies related to the overburdening of the CervicalCheck programme and the spiralling costs of the National Children’s Hospital with muted success. Meanwhile, the homelessness figures have crossed the 10,000 mark, but again Minister Eoghan Murphy is immune. He dropped out the figures just minutes after British Prime Minister Theresa May told MPs of her intention to resign last month. Next week we should find out how much it’s going to cost to bring broadband to all of rural Ireland. The Government loves to compare it to rural electrification in terms of importance, but is that simply a way of telling us to stop complaining about the price? Back in the Seanad yesterday, Justice Minister Charlie Flanagan was back fighting with ex-attorney general Michael McDowell over the Judicial Appointments’ Bill. The Seanad debate on reforms being sought by Transport Minister Shane Ross has gone on for more than 100 hours now and nobody even noticed the Government losing a vote on it yesterday. It’s very much a case of ‘wake us up when you’re finished’. Government figures argue that there are lots of developments taking place under Project Ireland 2040. And there are. There’s a ‘Future Jobs’ action plan. We’re having a divorce referendum and votes on directly elected mayors. Much needed legislation is being progressed in the areas of health, housing and justice. And of course, the economy is going strong. But most of the political air is feeding the Brexit debate. That’s as it should be. Brexit is an unquantifiable threat to this island, its economy and our peace. It’s also correct that everybody has gotten so excited over what is going on at the FAI – but what does it say that it has taken a personality-driven drama to finally distract us from Brexit? Politics as normal has been suspended for two years now and while that was necessary, it’s not healthy. So now that the UK is getting a Brexit extension, it’s not only Theresa May who has to carefully consider how to use that time. 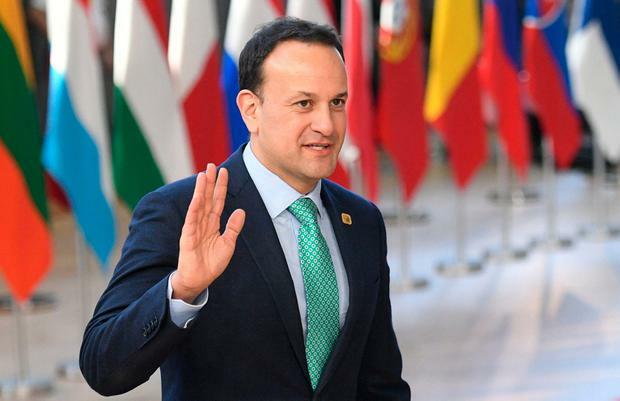 Taoiseach Leo Varadkar has fought the good fight on Brexit. History will judge whether he played with fire by pushing the UK so close to the edge over the backstop. Micheál Martin has done the State some service by swallowing his pride and not collapsing the Government at the end of the Confidence and Supply arrangement. And Mary Lou McDonald was half-reasonable in her approach, which for the Sinn Féin leader is an achievement. It would do her no harm to pause for a second and focus on protecting what we have first before repeatedly demanding a united Ireland poll. The Brexit question hasn’t gone away but now that there is some breathing space, our key political leaders must decide how to use the vacuum. We might all welcome a healthy dose of ‘politics as usual’. Then again, we might miss Brexit when it’s gone.